Distinguished Professor Emeritus James L. Perry of the Indiana University School of Public and Environmental Affairs has been selected as the 2017 recipient of the American Political Science Association’s (APSA) John Gaus Award, one of the highest honors in his field. 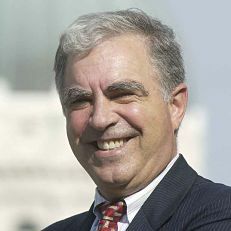 The Gaus Award and Lectureship honors the recipient's lifetime of exemplary scholarship in the joint tradition of political science and public administration and, more generally, recognizes and encourages scholarship in public administration. The award carries a $2,000 prize. Perry will deliver the Gaus Lecture at the APSA Annual Meeting on September 1 in San Francisco. Each award lecture is published in PS: Political Science & Politics. Perry joins a list of the field's leading scholars in receiving the Gaus Award. Instituted in 1992, its other Indiana University honorees are Lynton Caldwell (1996) and Vincent Ostrom (2005). Perry is an internationally recognized leader in public administration and the study of public organization management. He joined SPEA's faculty in 1985 and serves as Distinguished Professor Emeritus and Chancellor's Professor of Public and Environmental Affairs Emeritus. Perry's more than 40 years of scholarship includes expertise in public management, public organizational behavior, government and civil service reform, national and community service, public service motivation, and performance-related pay. Perry has held faculty appointments at Yonsei University, University of California, Irvine, The University of Hong Kong, Chinese University of Hong Kong, and University of Wisconsin, Madison. Perry is editor-in-chief of Public Administration Review and has edited or served on the editorial board for more than twenty leading management, nonprofit and public administration journals. He has authored or edited 10 books and more than 150 articles and book chapters, including the Handbook of Public Administration, Third Edition (Jossey-Bass, 2015, co-edited with Robert Christensen). Perry also co-authored the book Civic Service: What Difference Does It Make? It earned the 2004 Best Book Award from the Public and Nonprofit Division, Academy of Management. Perry is recipient of several other prestigious professional awards including the Yoder-Heneman Award for innovative personnel research from the Society for Human Resource Management, the Charles H. Levine Memorial Award for Excellence in Public Administration and the Distinguished Research Award, both given jointly by the American Society for Public Administration (ASPA) and the Network of Schools of Public Policy, Affairs, and Administration, the Dwight Waldo Award for career contributions to the professional literature of public administration from ASPA, and the H. George Frederickson Award for career contributions to public management from the Public Management Research Association. The namesake of the Gaus Award is John Merriman Gaus, one of the founding fathers of the field of public administration. Gaus (1894-1969) was Professor of Public Administration at the University of Wisconsin and at Harvard University.